Do I Need Motorcycle Lessons To Ride A Scooter? This is a common question that we’re asked here in the RideTo office and rather than motorcycle lessons you’d have to take Compulsory Basic Training otherwise known as the CBT. It is a day of training lasting roughly 6 to 8 hours which is designed to make sure you’re safe on the road unsupervised, both for yourself and for other road users. The very minimum skill requirement you need to take your CBT is to be able to ride an adult size bicycle but it can still be challenging to transition over to two wheels with an engine. That’s why the T in CBT stands for Training. 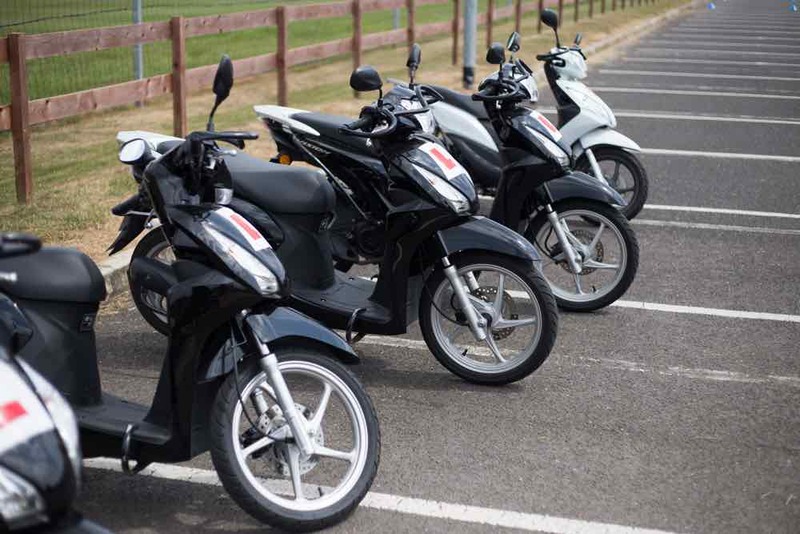 The first practical part of the CBT is getting you familiar with the basic controls and techniques involved in riding a scooter. This includes basic skills such as pulling away, turning and stopping. There are 5 parts of the motorcycle lesson you’ll receive during the CBT. Each part, or Element, of the CBT is given a letter - starting with Element A which is an introduction to the CBT, explaining the course and a basic eye test. The next two elements are an introduction to the practical elements of riding a motorcycle. The instructor will run you through the basic controls and checks before moving on to the on-site motorcycle riding training. 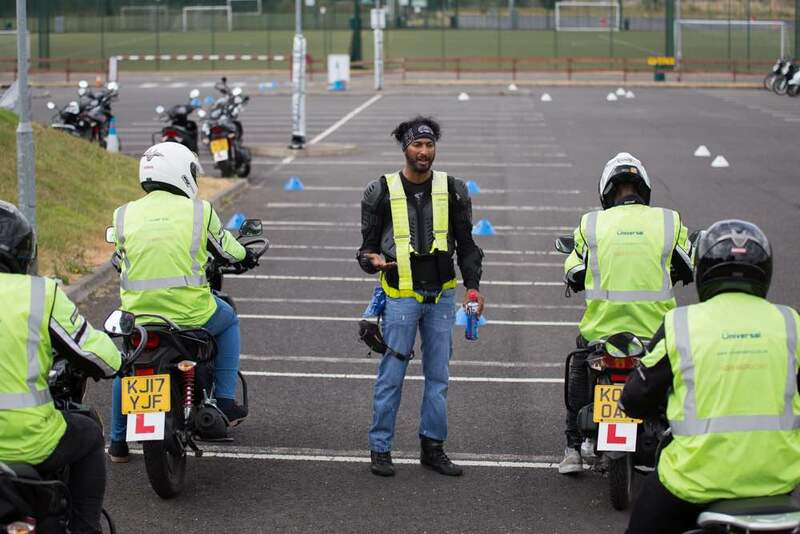 After this you will be taught and assessed on your knowledge of the highway code and road riding in general before heading out for the 2 hour road ride portion of the CBT. All in all it takes around 6 to 8 hours to complete the training. 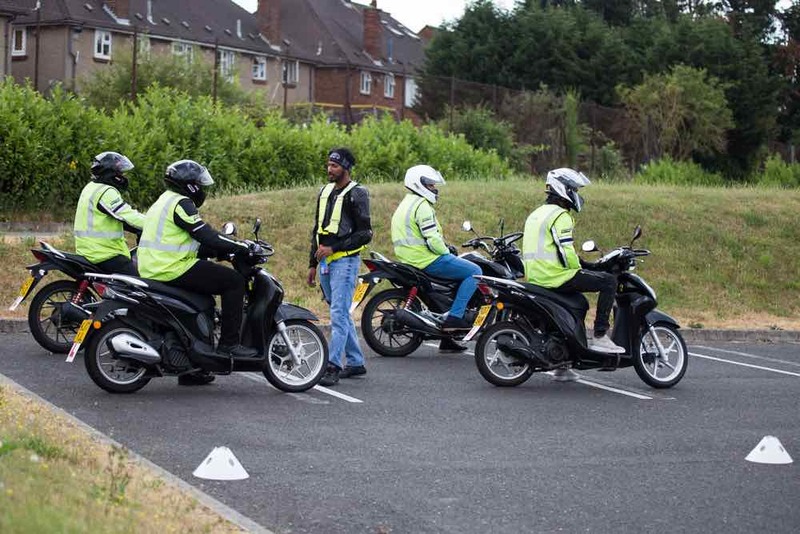 During the CBT your instructor will do as much as they can to help you through the learning process of picking up riding a scooter - you will be doing your CBT in a group of no bigger than 4 and the final part is a road ride out with the instructor and one other rider. 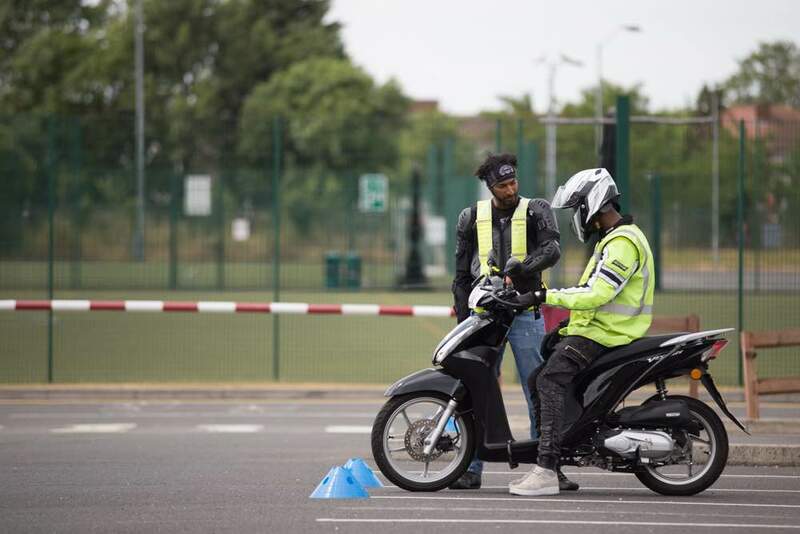 It is absolutely possible to pass the CBT and learn to ride a scooter on your first CBT but if you are particularly nervous about getting on two wheels, then the best thing to do is an ITM or Introduction To Motorcycling course. This is a 1 or 2 hour session in a group no bigger than two which allows you to get more attention from the instructor to help build your skills and confidence before moving on to the CBT. The CBT is designed to make sure your skills and knowledge is in place to ride unsupervised on the road and once it is passed you’re ready to get out there on two wheels.